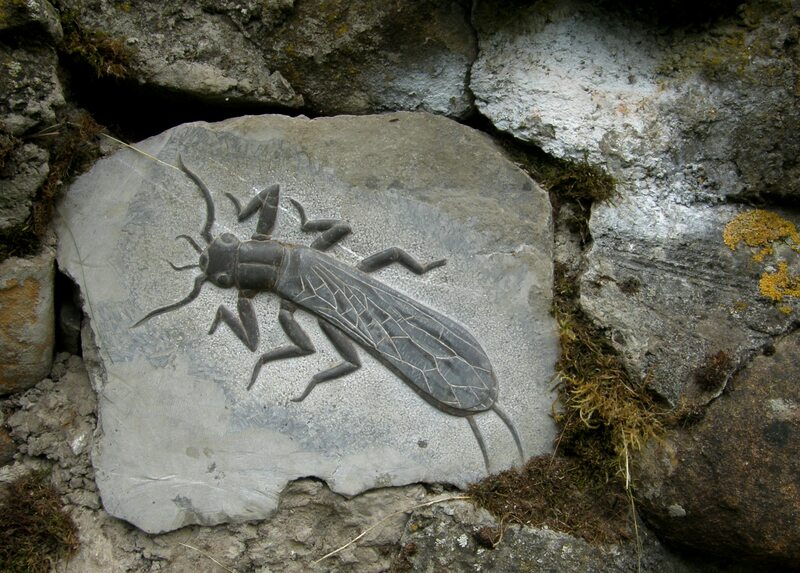 In July Pete completed a series of four insect relief carvings which were installed along the Pennine way around Low Force waterfall in Teesdale. They are carved out of the local black Weardale limestone, a very hard stone which polishes to a deep black and gives excellent variation in colour. The carvings are part of the North Pennines AONB’s Cold Blooded and Spineless project. This is a five year project which aims to raise awareness of the importance of invertebrate life and encourage the public to go out and monitor the number and type of insect life within the north Pennines area.